Click Sign In to the Console. Select Billing & Cost Management from the My Account dropdown list. 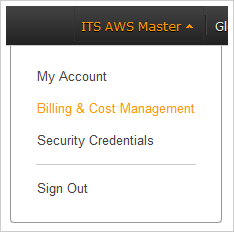 Select Consolidated Billing from the Dashboard list. 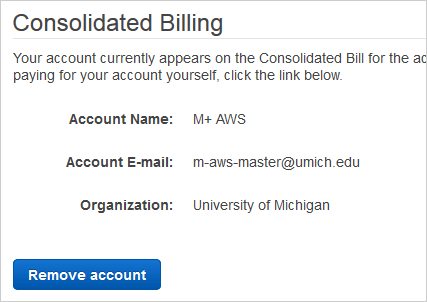 Note: You will receive a confirmation email from AWS that your account has been removed from the Consolidated Bill. If you are removed from the Consolidated Bill in the same month that you receive a grant or join AWS Educate, your grant will still be applied to the greater good of the Consolidated Bill. Wait for the end of the calendar month before applying a grant or joining AWS Educate.